Ethiopian troops invaded a Northern Somalia town in an attempt to arrest a Quran teacher, officials and residents confirm. The troops crossed into Buhoodle district in Northern Somalia on Monday evening, hunting for a Quran teacher who later on fled from the area. Buhoodle is located on the Somalia and Ethiopia border. 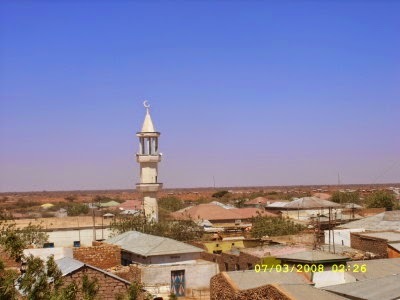 The town serves as a commercial hub for the movement of goods to and from other cities in Puntland such as Galkaio, Garowe, Bosaso and Lasanod. Local officials have accused the Ethiopian troops for acting illegally by invading the town without informing the administration. ‘’ They just came in to the town without informing the local administration which is not legal,’’ said Abdirahman Abdullahi Ahmed, a local official, in an interview with the VOA Somali service. He added that a local woman was injured during the operation to arrest the Quran teacher. Further reports claim that the Ethiopian troops suspected the Quran teacher of having links with the extremist group al-Shabaab. Ethiopian officials have not commented on the incident. Ethiopia has already troops in Somalia which are part of the African Union mission, with more than 4,000 soldiers based in Southern Somalia.